Well the sun is finally out again and flowers have once again started to bloom. 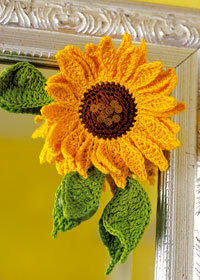 Here is a cute sunflower crochet pattern that might bring a little sunshine to your day. This adorable pattern can be found on Coats Crafts. 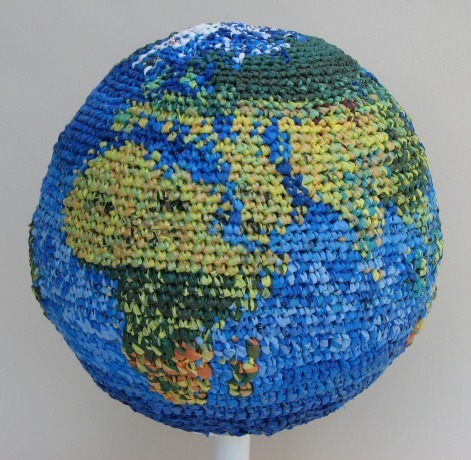 Earth Day is coming up and there is no better way to celebrate it then crocheting your own globe using plastic bags! Artist Julie Kornblum created this fun activity. Check out Recyclart to see other awesome crafts you can create in celebration of Earth day!